Compassion: Sacrificing a little luxury for someone else’s necessity. I feel silly trying to write about an experience that I can’t even put into words. The magnitude of the evening still sits on my heart and flows through my thoughts, leaving my spirit dancing and my face smiling. I had the privilege to volunteer for Compassion at a local Rend Collective show. To give a bit of background, the last time I was at a Rend Collective show, the girl behind me asked me to make her a bag just like the one I designed and was carrying. My first order! 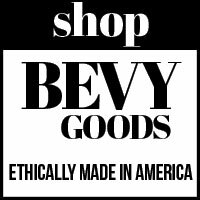 And so Ginger Lane, now BEVY Goods, began. Also at that show, I learned all about Compassion and committed to using a portion of profits to sponsoring a child. So Compassion + Rend Collective hold a deep spot in my heart and am grateful for how God has worked through them. This time I was on the other side, and able to be one of the people handing out the child packets to audience members. I was able to talk to people about the girl we sponsor and share stories of how our relationship has grown. 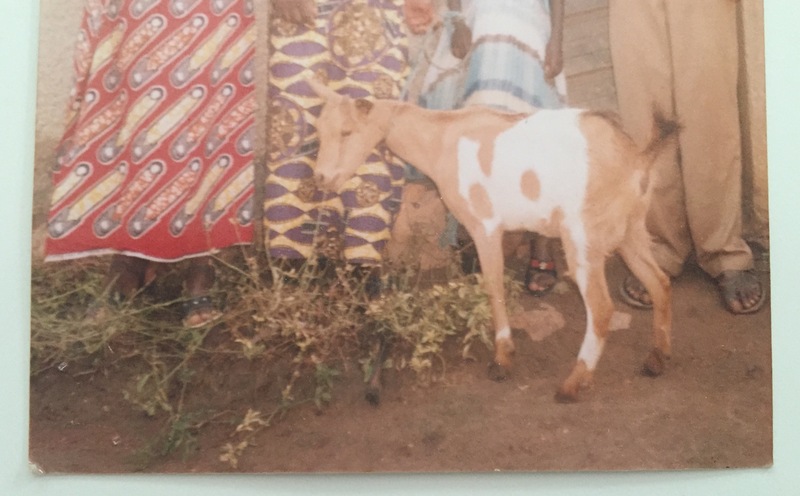 A photo of our girl, her family, and the goat they were able to buy with funds through Compassion. The heartbreaking moments came when we held stacks of cards in our hands, and realized just how many children need to be sponsored. Sponsoring a child is so much more than having money automatically deducted from your bank account every month. It is a relationship, filled with letter writing and sharing stories. Sometimes giving love and giving of yourself is much hard than giving money. But so much more valuable. Patrick from Rend Collective said it best: “we can sacrifice a little luxury for someone else’s necessity”. It costs $38 a month to sponsor a child. To some, $38 is the cost of two pumpkin spice lattes a week or a t-shirt bought on a whim at Target that you’ll never wear. Little luxuries. Please consider sponsoring a child through Compassion. This is not an ad, I don’t work for Compassion. I just love what they are doing. And just like that, the busy-ness of the Christmas season (hi, shopping & building gingerbread houses) and a sick child turn this “daily gift” into a “mostly daily gift”. IJM seeks to make public justice systems work for victims of abuse and oppression who urgently need the protection of the law. International Justice Mission is the real deal. I’ve had the opportunity to hear the founder, Gary Haugen, speak on a few occasions. The work they are doing is real and so needed: There are currently between 21-30 MILLION slaves. Even if you don’t donate a penny, take a moment to read just one of their many rescue stories: IJM Helps Rescue 35 Girls Enslaved in a Thread Making Factory. They’re focus is to provide: Victim Relief (immediate relief for the victim), Perpetrator Accountability (through local jurisdiction systems), Survivor Aftercare (help victims rebuild their lives) & Structural Transformation (working with local judicial system to protect future abuse. There is a great organization in the Boston area to help survivors of domestic violence. Each year, a group of moms in my town gather to serve these survivors a Holiday meal. The least I could do was provide a few items for the meal. The Second Step fosters the ongoing safety, stability, and well-being of survivors of domestic violence. Our comprehensive residential and community-based programs build on the strengths, needs, and values of the individuals and families we serve. Through partnership with survivors and collaboration with the community, we lay a foundation for a future free from abuse and full of possibility. Donations can be made online to help families get back on their feet. Giving can be made online or donations of goods (household items, clothing, toiletries, etc) can be dropped off. Today the boys and I have started filling a cup. The contents of which we are going to donate to World Food Program. Had I planned ahead, I would have ordered a World Food Program Red Cup for the occasion. But I’m sticking with “it’s the thought that counts”, to make up for my lack of planning. 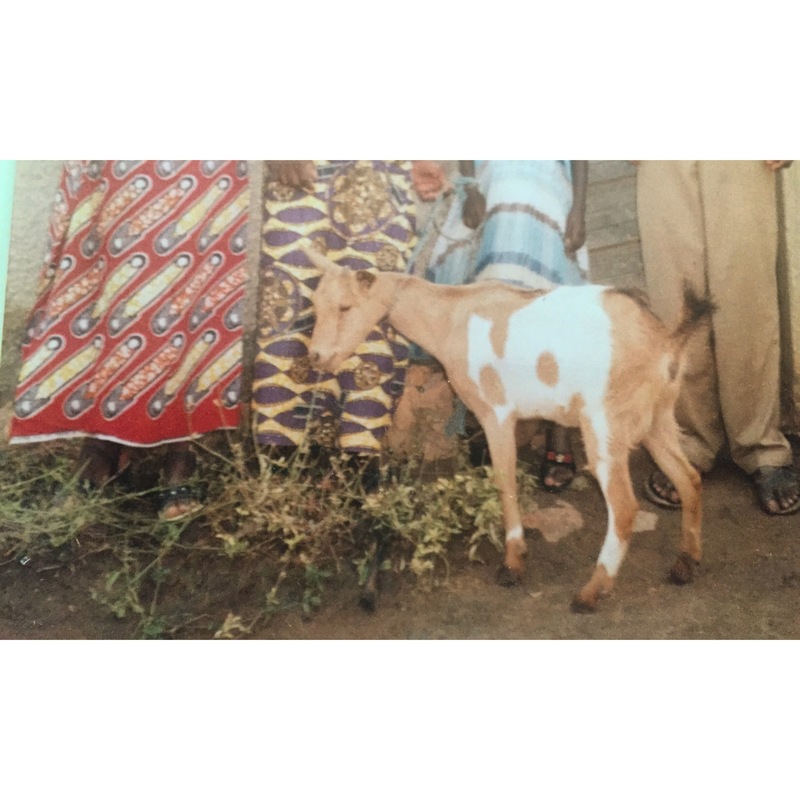 Since 2004, Coins 4 Kids has helped the United Nations World Food Program (WFP) provide over 72,000 school meals to children in nearly 100 schools throughout the slums of Nairobi, Kenya. Coins 4 Kids supporters around the country collect bills and change in a red collection cup, modeled after the red cups that WFP fills with nutritious food for these children each day in school. 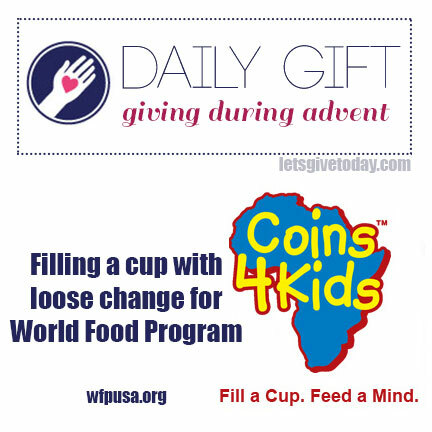 Every 25 cents you collect in your Coins 4 Kids cup, will feed one hungry child in school for a day. It’s that simple – one quarter, one cup of nutritious food. 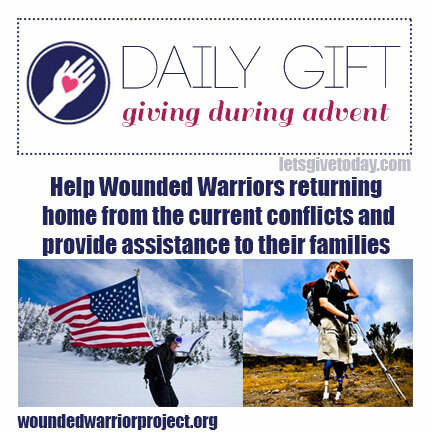 Helps injured service members aid and assist each other. Provides unique, direct programs and services to meet the needs of injured service members. 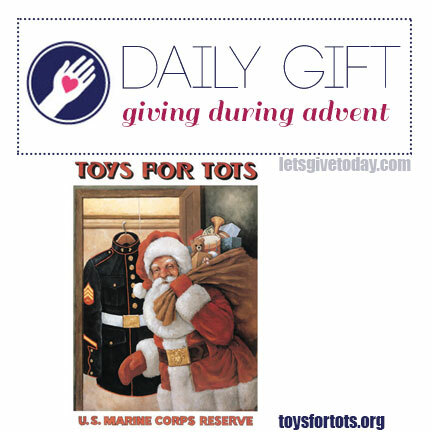 Raises awareness and enlists the public’s aid for the needs of injured service members.